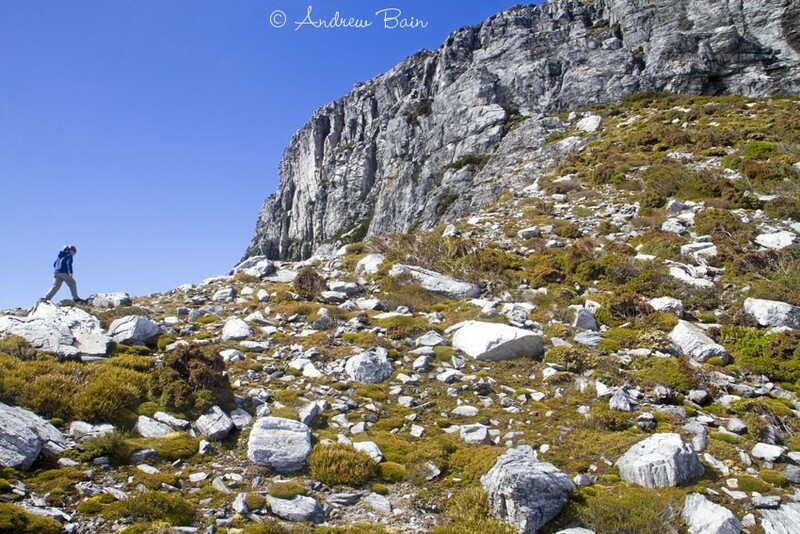 Last week I spent four days hiking with my 10-year-old daughter, climbing to the summit of Frenchmans Cap, one of the most prominent mountains in Tasmania. 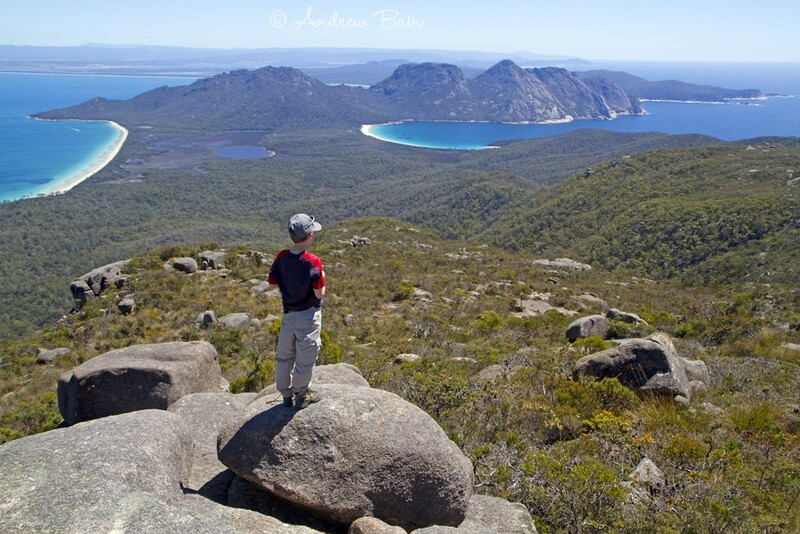 I then took my eight-year-old son for a three-day hike around Freycinet Peninsula, circuiting its beaches and crossing the summit of Mt Graham. “It has nothing to do with points A, B or the getting from one to the other. It barely has anything to do with planting one’s feet in a straight line. A walk is, instead, an investigatory exercise that begins with energy and ends when (and only when) exhausted. I realised that, like most parents, I have until now been pushing my kids to walk like me when I should probably be learning to walk like them again. Over the week I tried to cut down on the calls of “C’mon” or “We really should push on” (while remaining mindful of time and the need to reach camp at a reasonable hour each day). I tried to let them walk their own way. Though my children are years older than Horowitz’s son, the hikes for them still seemed to be just the frame around a bunch of distinct, individual experiences. There were the different forms of locomotion – walking, running, going out of your way to scramble over rocks, squelching through mud and then turning around to squelch back through it again… and again. They saw bugs I didn’t notice, and they stopped dozens of times to set off trigger plants. A mountain of stones was skimmed, and the plot lines of about three different book series were narrated to me. My son gathered walking sticks from among the leaf litter – first one stick, then two, then three, until he finally decided that three sticks and two arms somehow didn’t compute. My daughter stashed her own various walking sticks at strategic points, wanting to see if they’d still be there on our walk out. There were other sticks that could be used to scoop up bits of bark as you walked, tossing them over your head. I’d thought we were simply going for a couple of hikes, but instead we were touching and feeling the world, seeing how the natural puzzle pieces fitted together. I experienced impatience, frustration and, ultimately, great joy. And for all that, we rarely arrived in camp any later than I’d anticipated. It seems that wasting time isn’t always wasting time. Andrew, I am increasingly wishing not only that I was younger – but that you were my father! That might sound really weird, but I’m sure you know what I mean! Loving seeing the world through your children’s eyes. I reckon there’s a book in this somewhere for you. Putting aside the image of me as your father, Lee… thanks. I get as much from these experiences as the kids, so it’s a two-way street. What an amazing experience for your kids. You get the Awesome Dad Award for sure. Thanks Sue. They’re great outings for me as well as the kids. Beautiful writing, AB, and beautifully observed. Love your work. Thanks for this! A few more years til I get my daughter out there! Thanks annathrax. Start her young and slow and you may get a walking partner for life. Thanks Brad. Kids remind you that we see a world clouded by our other thoughts, so it’s always instructive to see it again through their eyes – it’s like instinctive mindfulness to them. Yes, they’re great reminders and teachers. Australian journalist Andrew Bain is one of our favourite writers. His insightful blog, Adventure before Avarice, touches on many topics related to the wonderful world of adventure, however this one struck us as particularly worth sharing through our own blog. Kids see the world much differently to adults and perhaps something can be learned from them, rather than the other way around. Enjoy the read – it’s well worth taking a moment to absorb the very valid thought. Nice work AB, hope you don’t mind the lazy reblog to our site – it’s well worth sharing. A good reminder as we head out for the weekend! Thanks.